Google launched the Hummingbird update sometime last August, but SEOs, online writers and editors and search professionals everywhere are still trying to figure out what it means for their daily work lives. Google is (as usual) rather tight-lipped about specifics, but through public talks and blog posts, it has revealed some interesting information about how Hummingbird works — or at least how it’s supposed to. With the Hummingbird update — which isn’t just an add-on algorithm but a complete rewrite of Google’s search code — Google’s intention is to shift away from simple keyword matching to understanding the searcher’s intent. By considering a search query against available contextual clues — searcher location, personal search history, synonyms, search trends and more — Hummingbird attempts to understand the purpose of the search in order to provide more accurate results. Hummingbird is a big step toward a search ecosystem that has been evolving since Google’s first spider — and it should alter the way we look at content creation. 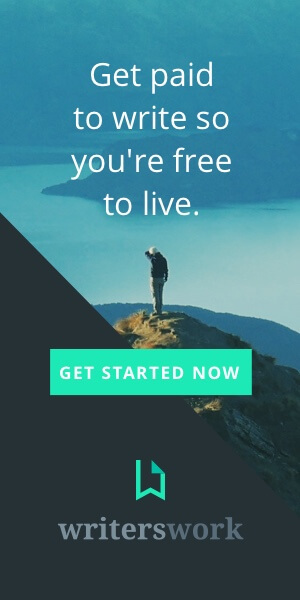 Specifically, it marks a big step back from the commoditization of content, giving online writers and editors the freedom and opportunity to pursue quality instead of quantity. 1. Longtail keywords aren’t as important as they used to be. Because Hummingbird can use synonyms to parse a search string, the ability to match a specific keyword phrase in your content becomes less important. Theoretically, a high-quality page could rank well for a search even if it wasn’t optimized for that specific keyword phrase. 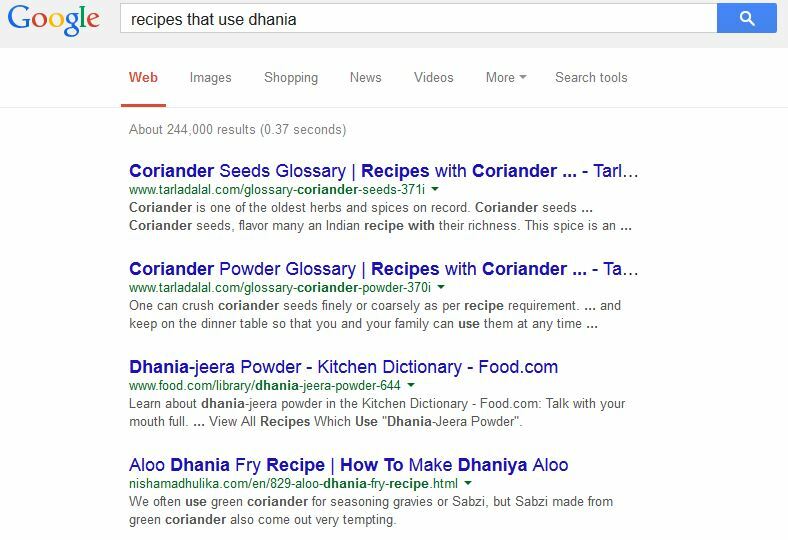 For example, if you search for “recipes that use dhania,” Google recognizes that dhania is the Indian name for coriander seeds and considers that information when returning results. The Web page in the number-one spot contains the word dhania twice — not exactly optimized for the word — but it contains coriander 32 times. Certainly there are pages out there that contain the keyword dhania with more regularity, but because Hummingbird looked for the meaning behind the search query first, it returned more accurate and useful results. This doesn’t mean that keywords are completely irrelevant, of course; but if your content is well-written, keywords and keyword phrases will occur naturally. And natural is what Google is looking for. 2. We can stop chasing Google. Whenever Google launches a major update to its search algorithm, some SEOs whine that Google has changed the rules just when they figured out the last set of rules; other site owners are flummoxed (if not irate) when their search engine rankings drop. And then they both try to pick up the pieces and retool their sites to match the new update. Google has long made it clear that its purpose is to connect the right information with the right people, but for too long, content creators — whether they don black hats or are simply misguided — have focused on the algorithms themselves instead of on the purpose of the algorithms. This is like trying to win the Indy 500 but focusing entirely on your racecar’s engine — if you don’t watch the road ahead, you’re bound to crash and burn. Google has told us what it wants, and Hummingbird is a big step toward achieving that. Instead of chasing the updates, create what Google is looking for. Get ahead of Google by creating great, useful, shareable content. 3. We can start writing for people again. The first bullet point in Google’s quality guidelines is this: “Make pages primarily for users, not for search engines.” This isn’t a new development, but this simple ideal can quickly get lost in talk of keywords, algorithms, site maps and all that SEO jargon. Google ultimately wants to find the best content for a specific person given a specific search. If you have the best content for that search, Google wants to find you. Granted, Google has a lot to sift through to find your wonderful answers. Your answer may the king of all content, but distribution is queen and she wears the pants, so you’ll need to do some footwork to get your content noticed — but noticed by people, not by Google. 4. Most of what we know about good writing online still applies. A clear headline that lets people know what to expect. A thesis statement near the top. Subdivisions with clear, consistent headings. Links to other sources and high-quality content. “the ideal length” of a piece of content for SEO. including a specific number of links in every piece of content. more content, more content and more content. 5. It’s all about quality. Google is all about connecting high-quality content with the people who need it. You can optimize web pages until your heart bursts, but unless you’re offering something that people can engage with — content that is interesting, entertaining, easy to understand and useful — you’ll ultimately fail to reach your audience. And this is where great writing and editing come in. High-quality content will get noticed, and high-quality content comes from high-quality writers and editors. No doubt Google and Hummingbird still have a long way to go, but they are always moving forward. Are you going to chase after them or head toward the same destination and meet them there? I’ll be talking more about the history and future of SEO and what it means for writers and editors this weekend at the annual conference of the American Copy Editors Society (ACES). The conference is a great way to hone your skills, learn more about your craft and network with other wordsmiths and content creators from around the country.